Peter Le Beau, Kevin Carr and Roger Edwards have been involved in many product developments as providers, advisers and reinsurers. 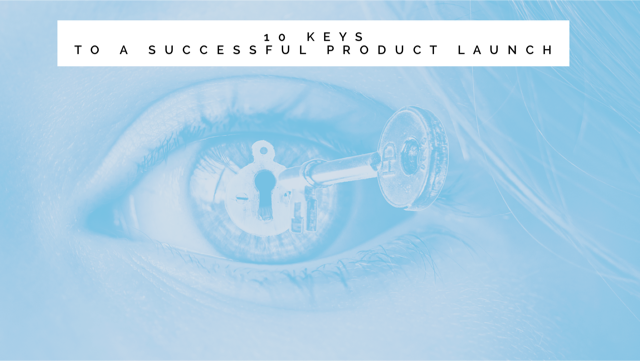 In this article, they share 10 keys to a successful product launch in the protection adviser market. One of the most dispiriting things that can befall any company or start-up is the failure of a new product to take off. Many hundreds of man-hours, maybe more, go into the launch of a new product and for it to fail to grip the adviser market – or worse to be criticised – is not only a huge disappointment, but can also be a monumental strategic embarrassment, and a very expensive mistake. Here are ten issues that we believe are essential for a successful product launch into the adviser market. At the heart of this issue is the product development process itself. Every company will have an internal process which it follows for the launch of a new product but the length of the process in several companies is mind- bogglingly long. This is usually because of IT issues, mainly being unable to allocate the resource in the IT department to a new development. It is fundamentally wrong that this should hold up the launch of a product and can be commercially extremely damaging. It may be politically difficult to outsource to an IT contractor but if the alternative is to completely miss a product development window it must be done. The other key issue is 'a multiplicity of meetings'. Clear well-chaired meetings which lead to positive outcomes are key to a successful launch, however, in some companies the number and style of meetings can create a drag on creativity and development, while tearing the innovative core out of the original idea. Decision by committee may keep everyone happy, but it may not lead to a successful product. Likewise, as an industry, we don’t tend to put out Live Betas of products, or develop minimum viable products – we tend to develop the whole thing, test it in private behind closed doors, and then launch. The market isn’t going to go away, however, it will change so consider putting things out there, getting feedback and refining continuously. Unless the proposition is one that advisers and consumers can grasp immediately it probably won't work. At least not straight away. Advisers live a pressurised existence and they need to be enthused about a product that is different and which enables them to create a positive message when speaking to consumers. For many decades, some insurers have over-complicated products as if they were creating something that other product development actuaries would admire. Be mindful too of blurring the focus of your target audience. Whether it is advisers, journalists or even your own sales people, if you have developed an interesting new product create a platform on which to present it try not to crowd that platform with too many different messages. It confuses advisers and can create uncertainty in marketing departments and the wider industry about how to allocate resources and which product takes priority. Likewise, try not to add things just because it might score points against a competitor, or will push you higher up the comparison charts. Focus on what the customer really wants. The purpose of a product is to fulfill customer needs and if the way it does that can't be explained and understood easily, it might be destined to fail. Does your project team tick ‘all’ the boxes? Actuaries, legal, IT, the creative/disruptive thinker, sales, PR & marketing, ideally an ex-IFA or adviser NED? Some of these might be the same person, of course, but few project teams tick every box from day one. Nothing turns off advisers more when trying out a new product if the first cases they try take ages to complete or are heavily rated. Your underwriting philosophy should be made clear to advisers when the product is launched and the quicker and slicker it is and the better the communication during it the more likely advisers are to persist in supporting the product. Think of the job the adviser has in communicating with his or her client and help them as much as you can to manage expectations realistically. One of the most frequently heard complaints about products from advisers is that companies don't support their launch with (what they would call) good marketing support, case studies and statistics. These are hugely helpful to an adviser in gaining the confidence of an often-sceptical public. Where possible choose real people, who have suffered hardship and show how this product would help to alleviate this difficulty. It might be hard to find examples but if you talk to charities and explain how you are trying to identify how you can help people if disaster strikes they will usually be sympathetic. Often someone who didn't buy cover is as compelling a story as someone who did. The millionaire MD talking on video for 2 minutes probably isn’t going to help much, nor are made up case studies. Also think about what you can give the adviser to help sell the product/benefit to their clients. Bear in mind you might love your shiny new complex product – but the man on the street won’t get excited about it, or even care. So, what are you going to do with your marketing, content, PR and social media to support the adviser and give them tools to put the message out there? One of the most common mistakes over the last twenty years is to shroud a new idea in secrecy and NDAs until it launches – only to read in the press next week that advisers don’t like it. Engage not only key advisers from a sales point of view, but also those the media are most likely to ask for an opinion and do so early in the process. If they have any criticisms or suggestions, at least you find out in private (rather than in the press) and if done early enough you can make the appropriate changes. And if those advisers are involved in the process from an early stage, before all the big decisions have been made, they will be far more likely to recommend and endorse it. Ps don’t ask journalists to sign an NDA unless you’ve invented the new wheel. Considering who the press will ask about your new product, and what they will write, should be at the heart of your thinking from the outset. What will the press release say, will there be a launch event, will you include third party/adviser endorsements, case studies and stats, will you include pricing examples, how will you maximise your press coverage? These areas are important and should not be left to the last minute. You may have started out with good intentions, but did you stick to them? Did you avoid all the jargon and complexity like you meant to? It is worth stopping to sense check throughout the process to see if you’ve built something smart, different and new – or has it accidentally turned into something more complicated than what is already out there? It's always worth spending considering the insights gained by a post-launch review. What went well what didn't? What lessons did we learn? Set up feedback mechanisms so you can collect information on what to do better next time including what advisers and customers are saying about the product and the experience. Are you agile enough to refine the product shortly after launch or will you have to wait another 18 months? Someone said to us recently that the quickest way to guarantee the demise of a new product is to try and guarantee its ROI. The best ideas and products rarely come from considerations about margins and market share, they come from consumers, intermediaries, creative minds and those who better understand the issues at the point of sale. Take a risk and dare to be different. It might just work.